Las Vegas, NV (March 6th, 2019) – PinRaise, the company that connects local real estate agents with local clients and nonprofits, announced today that the donations continue, with the help of their esteemed real estate professionals each making donations on behalf of their clients to the nonprofits of their clients’ choice. 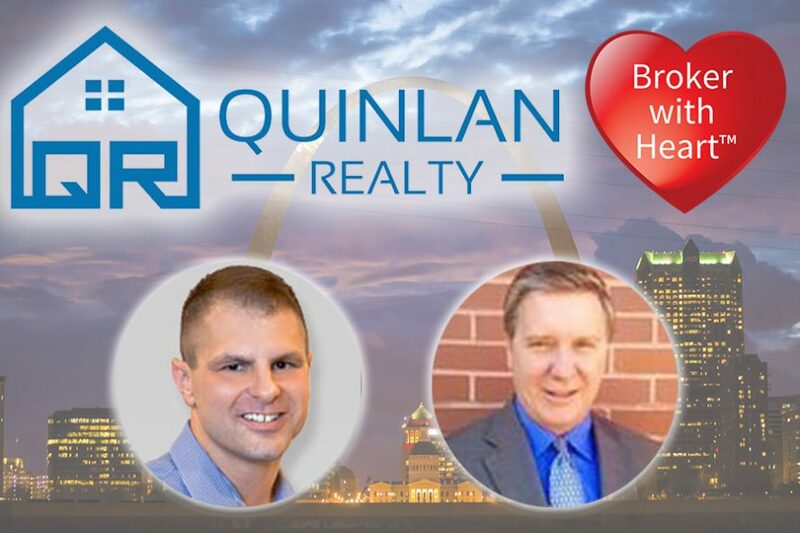 Quinlan Realty in St. Louis, MO has generously made 5 donations thanks to Agent with Heart Kevin Robben and distinguished Broker with Heart, Craig Carr. Kevin Robben has generously donated to ALS Association, St. Louis Regional Chapter on behalf of her client, Amber Brand, and also donated to the American Cancer Society on behalf of his client, Xiandong Leng. Craig Carr has made 3 generous donations. The first was to Friends of Kids with Cancer, made on behalf of his clients, Danielle and Tom Grasso. The second two, both Broker with Heart donation matches, were made to Friends of Kids with Cancer on behalf of Kevin Robben’s client, Amber Brand, and to the Buddy Fund, made on behalf of Kevin Robben’s client, Xiandon Leng. “Craig Carr and his team at Quinlan Realty are shining examples of the Agent with Heart program and the passion to make a difference that our agents hold,” says John Giaimo, President of PinRaise. “I’d like to personally thank Craig and Kevin for their wonderfully generous contributions this month. We are incredibly grateful for their inspiring dedication to giving back to their local community. Thanks to both of them, local nonprofits in St. Louis will be benefitting from funds that they may not have otherwise received. I thank them for their kindness and for joining us on this journey to assist as many nonprofits as possible through the Agent with Heart program,” concludes Mr. Giaimo. About the Broker with Heart Program: Through the Broker with Heart program, brokerages agree to donate a percentage or fixed dollar amount of their commission from a home sale or purchase to the nonprofit of their client’s choice after closing. This provides needed revenue for the nonprofit and makes a real difference in their community. For more information, please visit www.PinRaise.com. To contact Kevin Robben, please call 314-922-8819 or visit www.QuinlanRealtySells.com.